The new 21.5-inch 4K iMac starts at $1,299 featuring Intel's Kaby Lake processors. A non-4K model is priced at $1,099. All new iMacs are shipping today. The systems boast improved displays for both the 21.5-inch 4K model and 27-inch 5K models, at 500 nits, or 43 percent brighter than before. They also have 10-bit dithering and can support a billion colors. Fusion drives will be standard on all 27-inch iMac configurations, with 50 percent faster SSD speeds. And systems will be configurable up to 64 gigabytes of RAM. iMacs are also getting two USB-C connectors that support Thunderbolt 3. That will come in handy when macOS High Sierra launches with support for external graphics cards —necessary to be able to drive virtual reality content. The 21.5-inch 4K iMac model is also getting discrete graphics standard for more pixel pushing power. 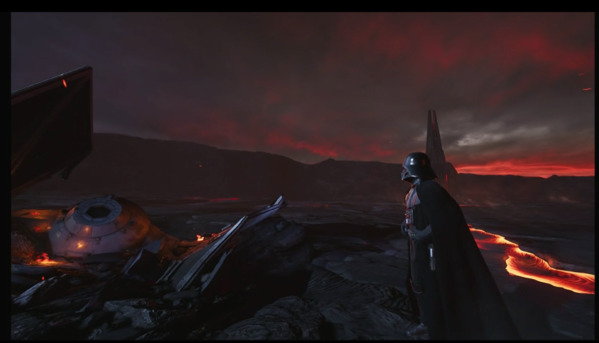 To show the VR capabilities of the new iMac, Apple invited Industrial Light and Magic to the stage at WWDC on Monday, showcasing a Star Wars themed title in a live demonstration. The demo used Epic's Unreal Engine to create a VR experience running on an iMac at a smooth 90 frames per second. Both the 4K and 5K screens are DCI-P3 Wide Color displays, with 500 nits brightness, and a 1200:1 contrast ratio. The 21.5-inch iMac without 4K display has a 2.3 GHz i5 processor, and a 1TB 5400 RPM hard drive for $1099. A 256GB SSD option is available, at additional cost. As far as configurations for the 5K iMac, the quad 3.4 GHz i5 model, with 8GB of RAM, a 1TB Fusion Drive, and the as yet undetailed Radeon Pro 570 GPU chipset retails for $1799. A 5K iMac with a 3.8 GHz quad-core i5 processor, a 2TB fusion drive, and the Radeon Pro 580 GPU sells for $2299. All of the new iMac configurations have a pair of Thunderbolt 3 ports, four USB 3.0 Type-A ports, 802.11ac wi-fi, Bluetooth 4.2, a Gigabit Ethernet port, and a SDXC slot.